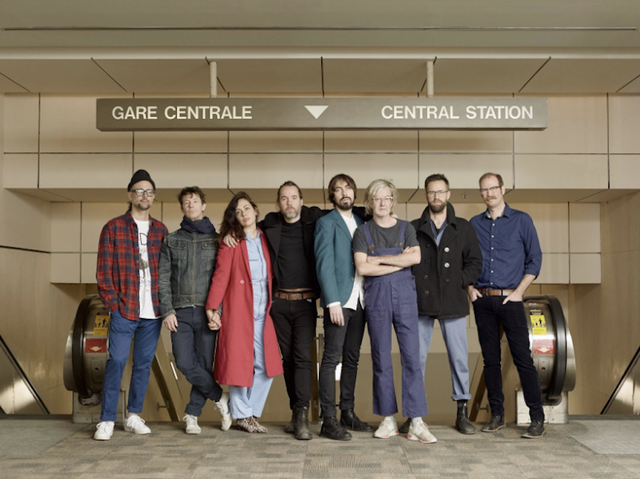 Broken Social Scene’s second EP of the year, Let’s Try The After – Vol 2, is out now via Arts & Crafts Productions. The album features the previously released singles “Can’t Find My Heart” and “Big Couches,” the latter of which was shared through Adult Swim’s Singles series. Let’s Try The After – Vol 2 follows the band’s recent EP Let’s Try The After – Vol 1, which was released back in January. Tomorrow, the band are issuing special physical editions of both EPs, packaged together for Record Store Day. Earlier this year, the band performed live on George Stroumboulopoulos’ The Strombo Show, and played a show at South by Southwest. The band are gearing up for an extensive international tour; after two nights in Toronto later this month, they’ll head to New York for three consecutive nights at Webster Hall (May 16-18). They’ll continue to play shows in throughout Canada and the U.S. before tackling a string of European dates in August. Pick up a ticket for the tour here. The band’s last studio album was the pretty great Hug of Thunder, which came out back in 2017. Read our review of that album here, and stream Broken Social Scene’s new EP Let’s Try The After – Vol 2 in full below.